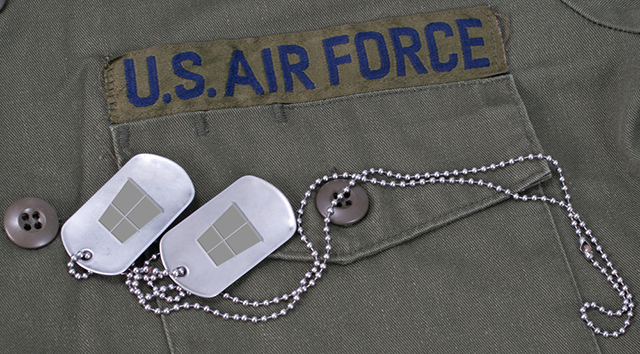 The US Department of Defense has decreed that the Air Force must complete its migration to Windows 10 by March 31 2018. Failure to do so will result in any systems not running Microsoft’s latest operating system being denied access to the Air Force Network. However, because Windows 10 is not compatible with many of the Air Force’s existing systems, a significant number of computers will need to be replaced in order to hit the deadline. Despite this cost -- the exact figure is not known -- the DoD and Air Force believe it to be money well spent. "The Windows 10 migration is critical to Air Force readiness," said Lt. Col. Brian Snyder, Windows 10 lead action officer, cyberspace strategy and policy. "It introduces a number of new security features; making it the most secure Windows version to date. Additionally, base and organizational leadership must ensure communication/cyber squadrons are provided all the support and availability necessary to guarantee success." "In cyberspace…every Airman is an operator. 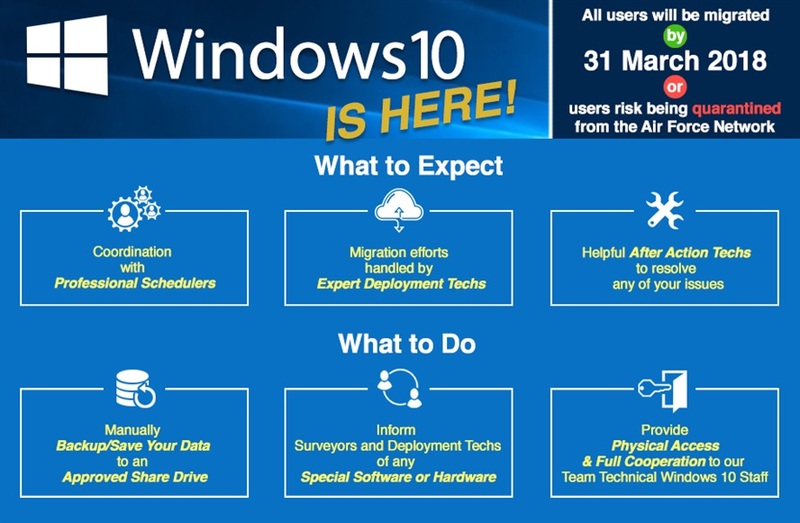 They need to be aware of cyber threat and do their part by being prepared for the Win10 migration,” said Bill Marion, deputy chief, information dominance and deputy chief information officer. "The long term benefit is not just about defending the Air Force against the cyber threat, but having a reliable and capable computer to accomplish the mission."